Tough day? Things not going quite as planned? Need a little boost? Just pop a cork for a little pick me up. 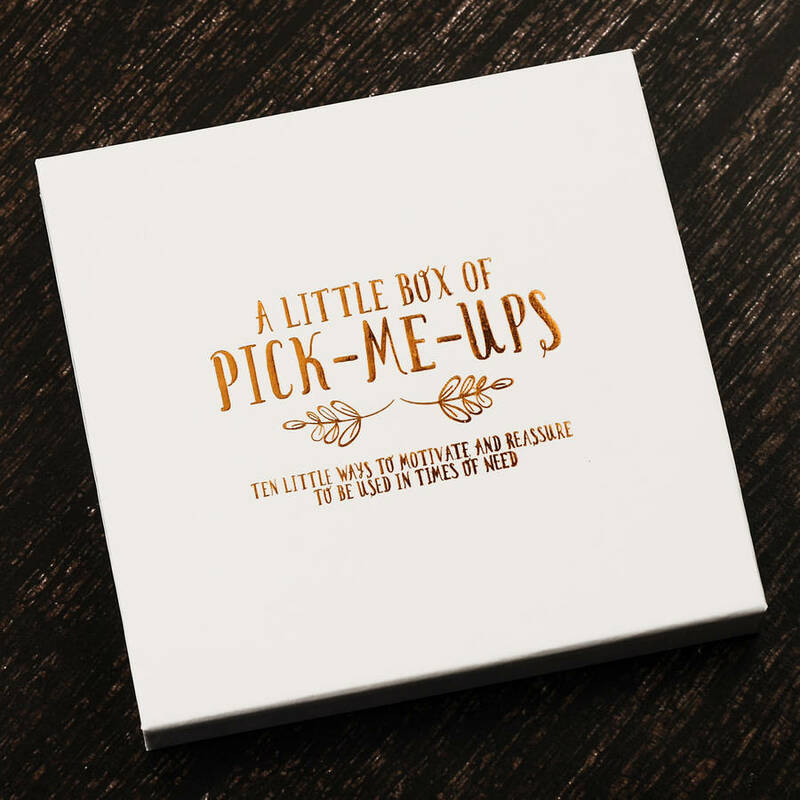 This is a set of ten messages designed to motivate and reassure you, perfect for when you're feeling a little crest fallen and are feeling the need to pull yourself together. 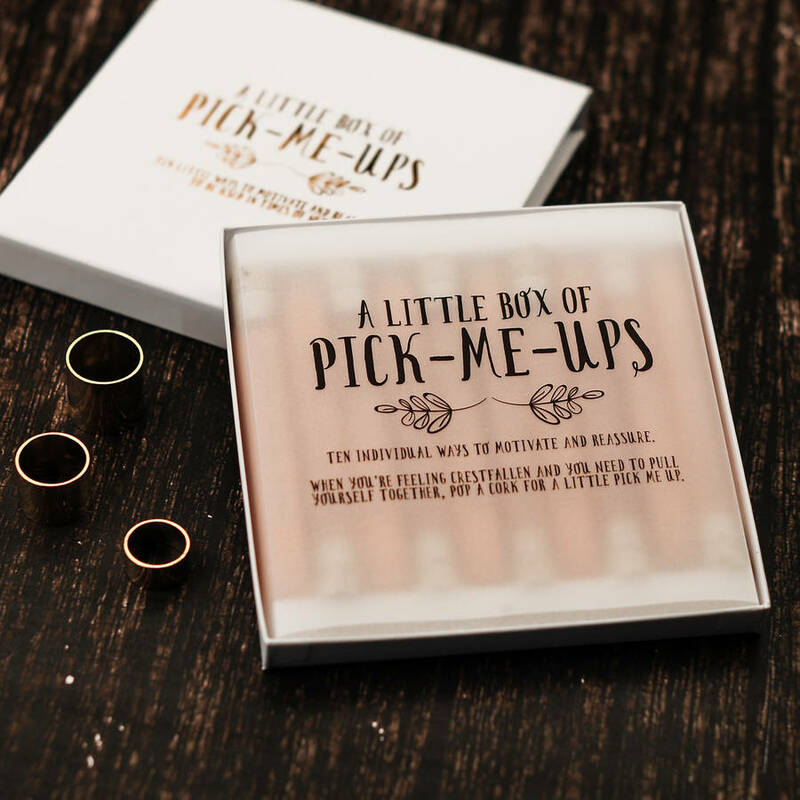 The gold foiled box opens to reveal 10 glass tubes, each ready for when you need a little pick me up. 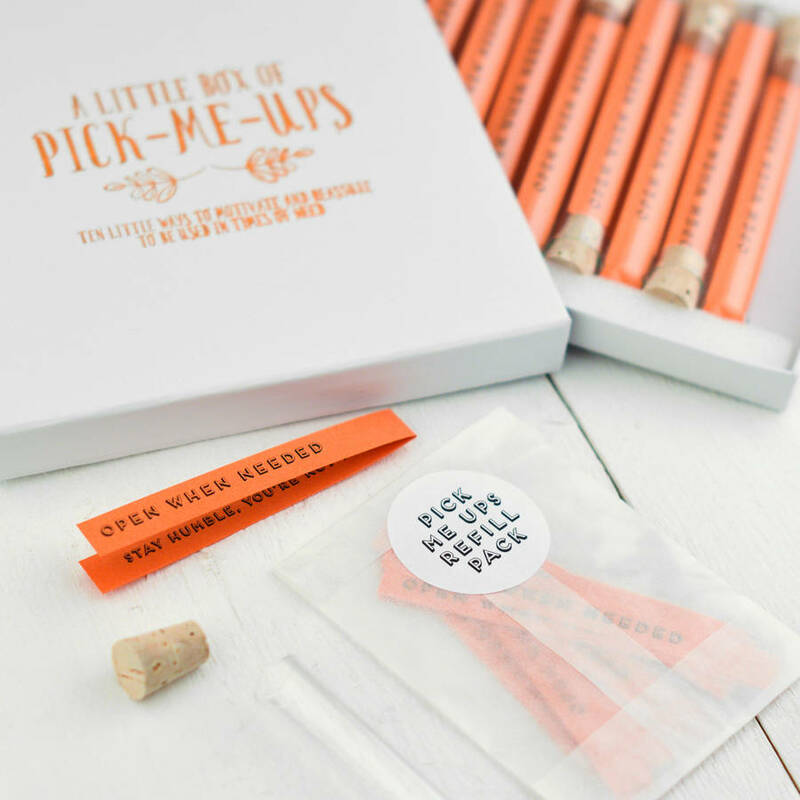 Simply pop the cork, pull out the tangerine orange paper, to reveal a little message to help you put the swing back in your step. 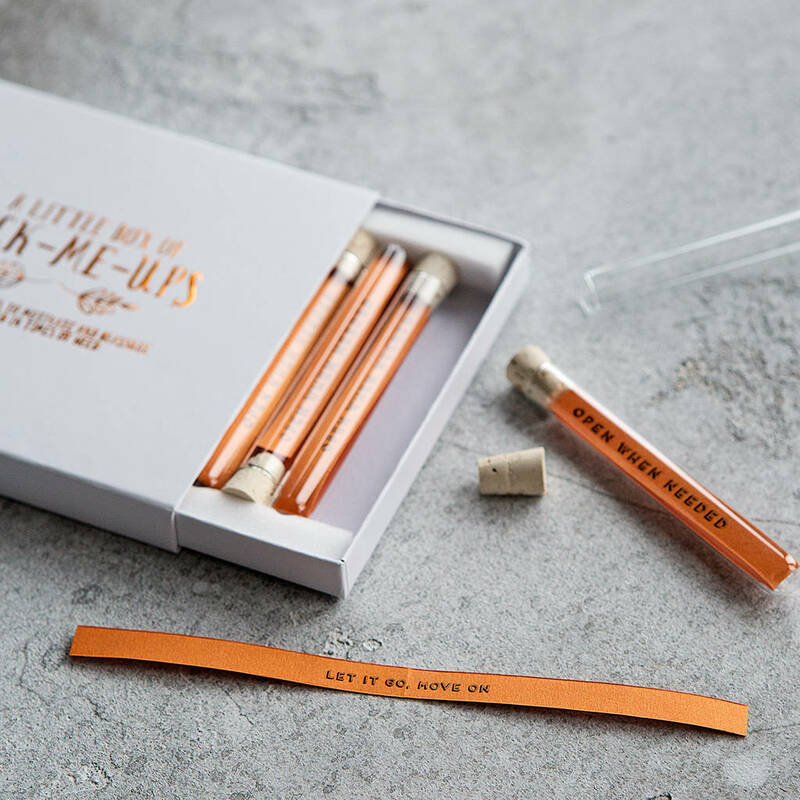 These ten glass tube are neatly tucked up into a luxury white box with copper print. 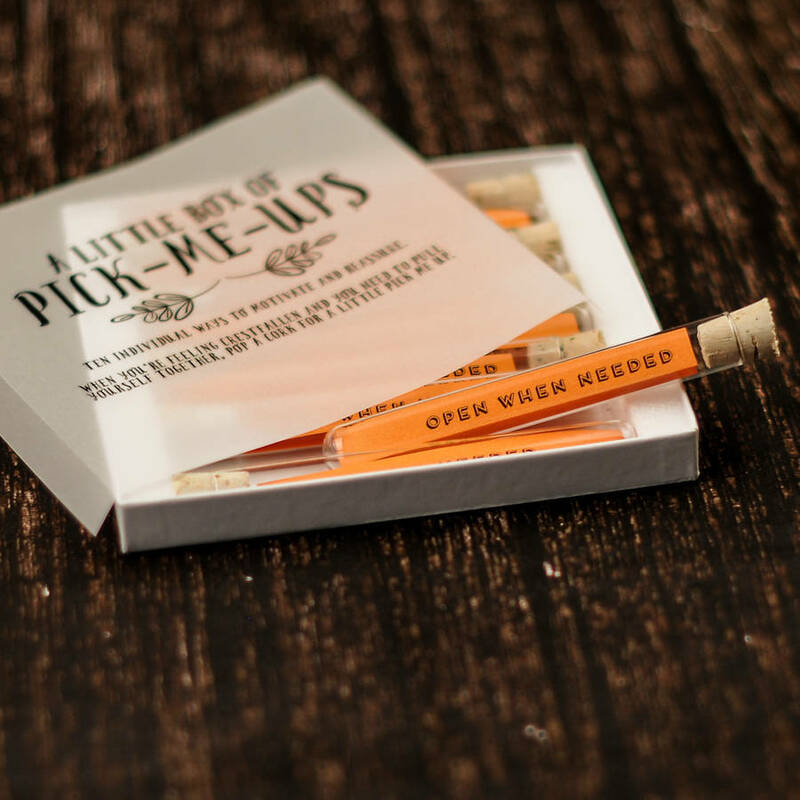 The messages inside the glass tubes are printed on pearlescent tangerine orange paper. Only if you wish to know the exact contents of each tube read on. If you wish for the messages to remain a surprise look away now!